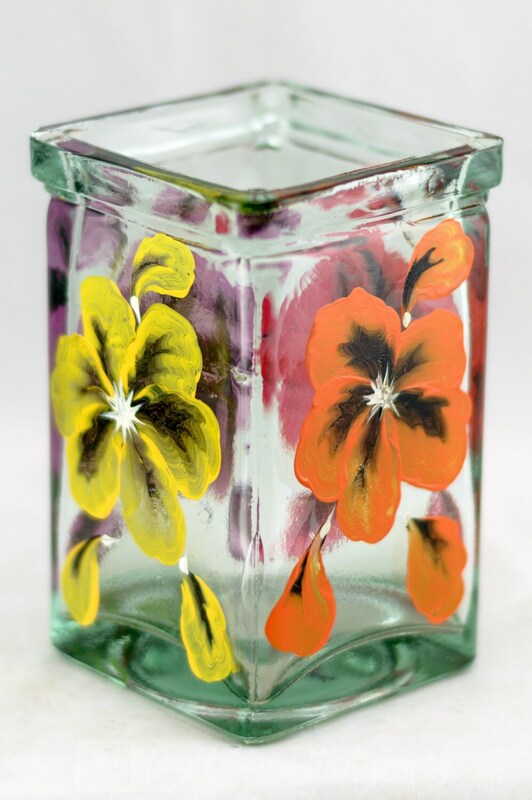 Approx 12-14 oz, 5" tall x 2.5 Width x 2.5" Depth. 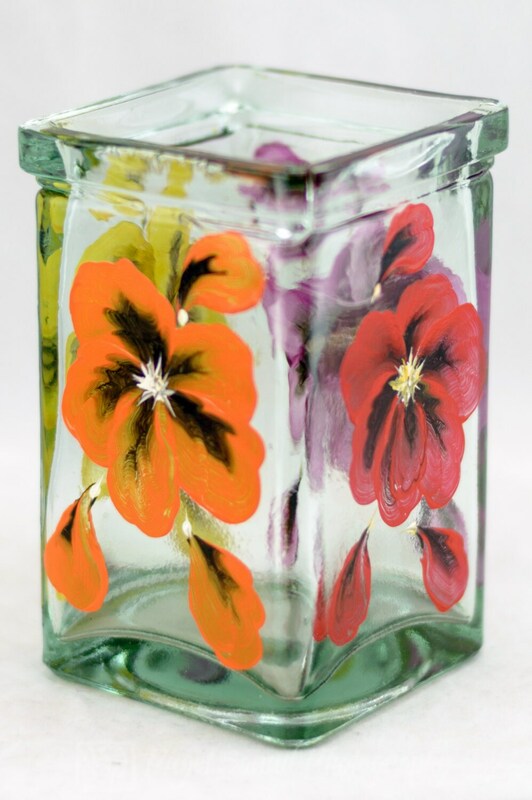 Thick, slight green tint Antique Glass - Square candle holder - Poppy Design. 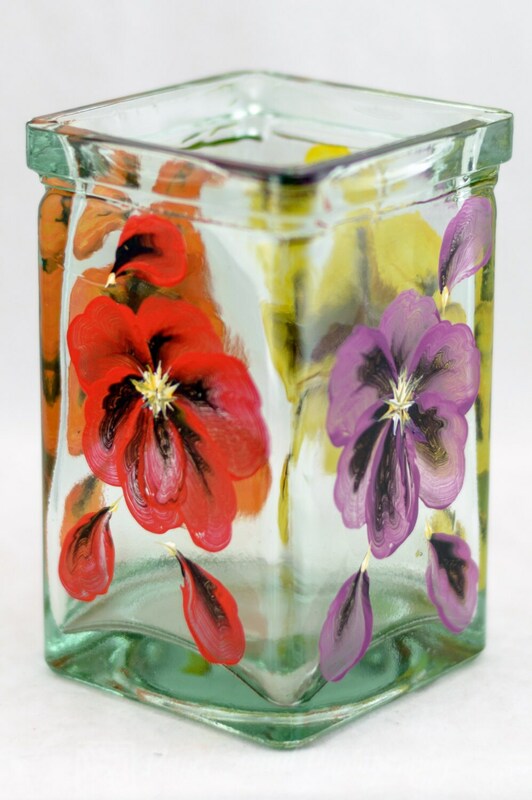 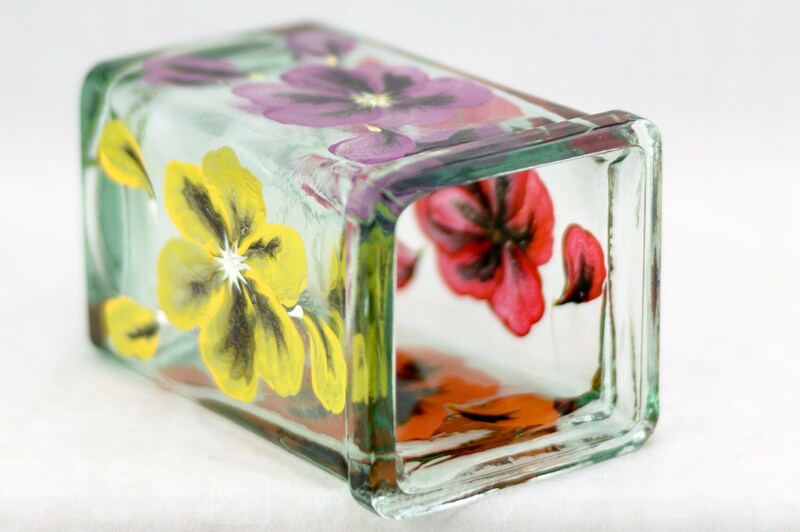 4 distinct colors (Red, Orange, Yellow & Purple) of poppies are hand painted on antique glass and has been reconditioned and upcycled. 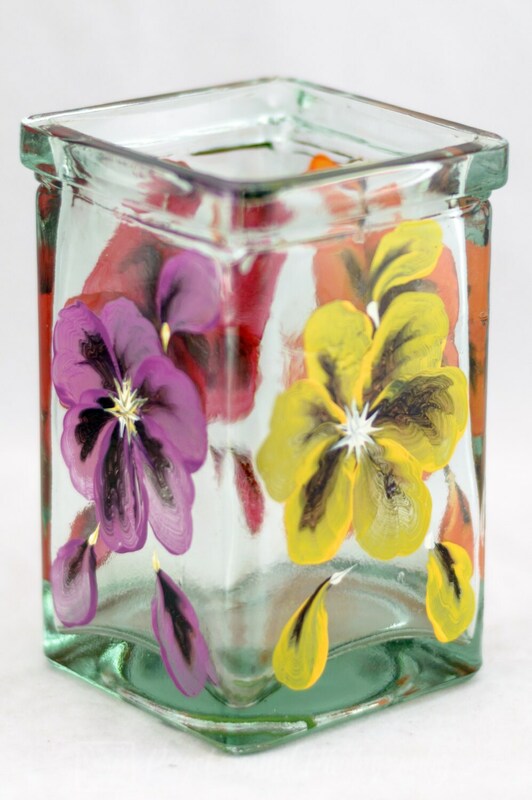 The candle holder is 100% hand-painted using quality acrylic enamel paints and is cured resulting in a scratch-resistant, high-gloss finish with clear sealant coating.